The number of homeowners failing to make mortgage payments hit a 20-year low in January while student and car loan delinquency rates continue to rise, according to new data from property analytics provider CoreLogic, released Tuesday. Across the country, only 4 percent of homeowners fell behind on their mortgage payments in January, down from 4.9 percent during the same period last year and 4.1 percent last month, according to CoreLogic data. 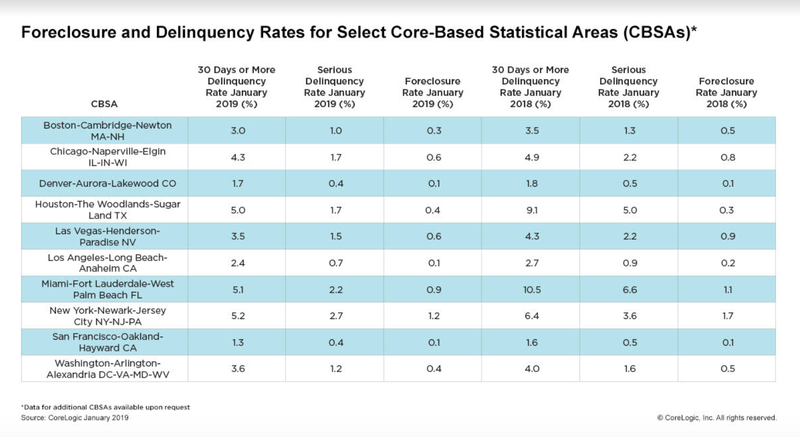 The home delinquency rate for January has not been this low since 1999. Foreclosures, in which property is seized due to a homeowner’s inability to pay, have also fallen steadily, from 0.6 percent in January 2018 to 0.4 percent now. But while delinquency and foreclosure rates have been falling since the beginning of 2018, parts of the country hit by natural disasters have higher delinquency and foreclosure rates. The number of people struggling to make car and student loan payments are on the rise. What’s more, it has become increasingly difficult for first-time homebuyers to make the leap from renting to owning. As home values rise and incomes fail to keep up, some are putting off a first-time purchase as they wait for a change that experts predict will be slow in coming. But when it comes to to those who already own their home, more good news is on the horizon. 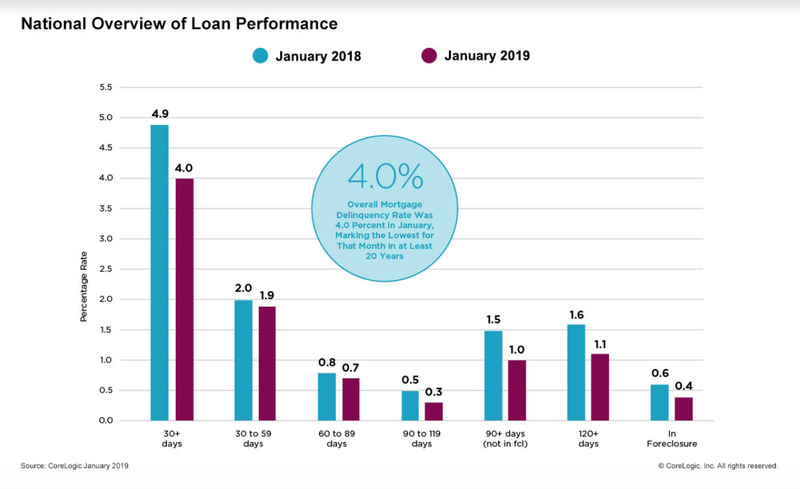 CoreLogic predicts that, as the spring homebuying season picks up, even fewer people will struggle with their mortgage payments. Article image credited to Aivoges/Shutterstock.com.